Chengli Special Automobile Co., Ltd. is the leading manufacturer and supplier of bulk feed delivery truck, animal feed transportation tank, livestock and poultry transportation feed trailer, etc. With many years' experience in developing, Chengli Special Automobile Co., Ltd. could supply 8cbm-40cbm bulk feed delivery truck, 4ton-25ton power auger feed truck, 30ton bulk feed tank trailer, etc. More information, please feel free to contact with Ms. Anita Deng. 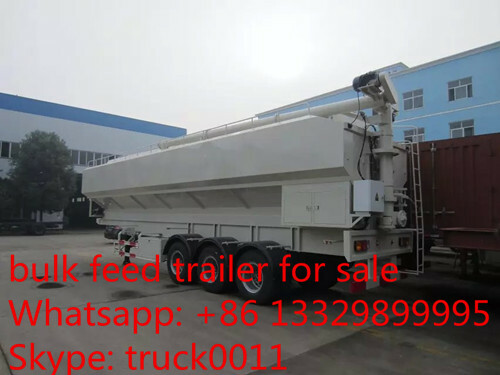 If you're interested in our CLW brand bulk feed truck, please send email to szhj9999@163.com or talk to Anita directly by Whatsapp/Wechat: +86 13329899995. 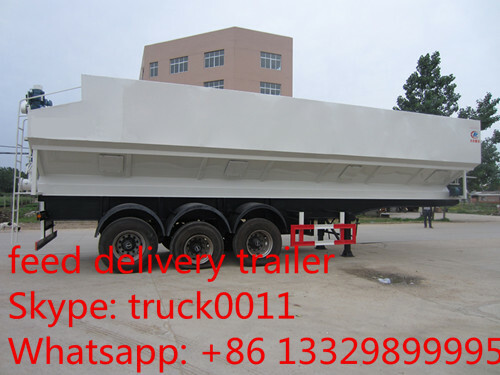 Triple axles 50cbm bulk feeds tank semitrailer, adopts 3 sets of FUWA 13ton bridges, 11.00-20 tyre, 28ton outriggers, 90# traction pin, etc. The bulk feed tank volume of 49.2cbm, adopts high quality 5mm carbon steel, transferring feeds by electronic auger, working with putting on 380volts electronic power. The electronic motor drives the Mechanical auger screw type to discharge with high discharging speed of 0.55ton/min. 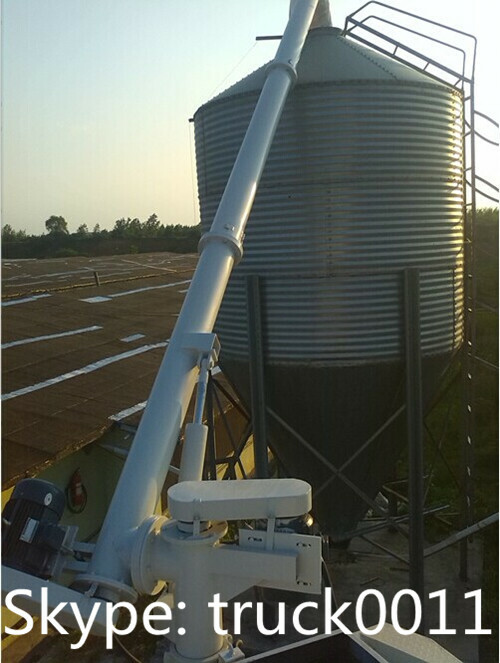 The Barrel type auger at the tank top is driven by the hydraulic motor, and the electronic bottom control lifting up and down, rotation left and right, with the horizon range of 7.2m and vertical range of 8.2m. So little Residual rate, less than 0.1. 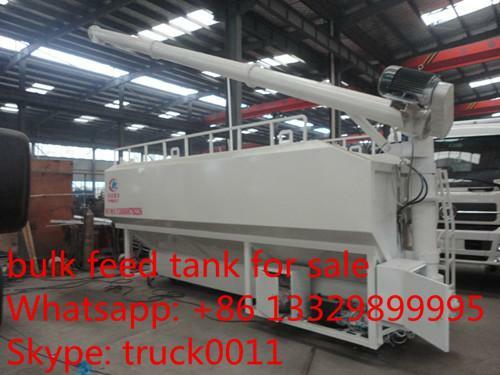 And the feed pellet semitrailer can be continuous working, highly improving the working productiveness. 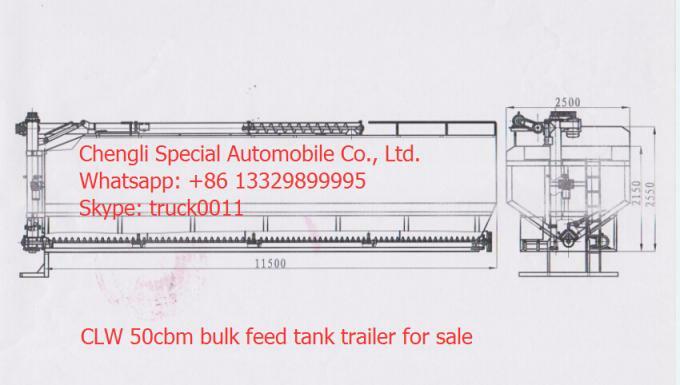 There are three compartments of the feed tank semitrailer, separate compartment with different kinds of feeds. Every unit is with simple structure, easy and flexible operation, easy to maintenance, etc. More pictures of CLW high quality and competitive price 50cbm(30ton) farm-oriented bulk feed tank trailer manufactured by Chengli Special Automobile Co., Ltd.
Chengli Special Automobile Co., Ltd. is the leading manufacturer and supplier of bulk feed truck and animal feed trailer in China. 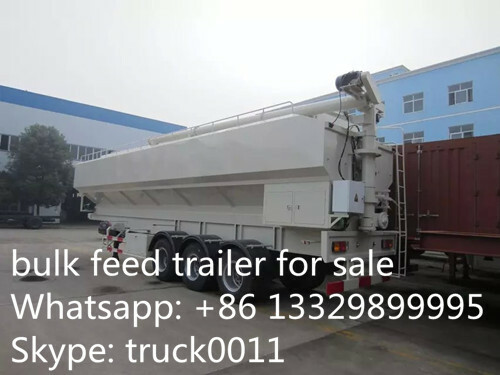 With many year's development, ChengLI Special Automobile Co., Ltd. could offer 8m3 to 40m3 bulk feed delivery trucks and 40m3-50m3 animal feed tank trailer, etc. The animal feed tanks manufactured by Chengli Special Automobile Co., Ltd. are discharging by 380V three-phrase electronic power or hydraulic system. More information, please feel free to contact with Ms. Anita.